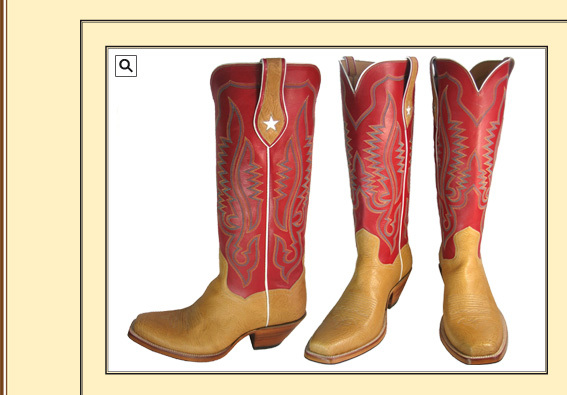 This is a great dress or kicking around boot with a blond Bull hide foot with toe stitch and double stitched sole & bright red 15" Kangaroo top. Shown with a wide square toe and 2 1/4" heel. The Legendary pull with star & bone piping really set this boot off.